The former head of anti-doping at UK Sport, Verroken now runs the Sporting Integrity consultancy and carries out tests at a number of tournaments for the Esports Integrity Coalition (ESIC). Take 5: Can&apos;t-miss NFL games in 2019 The NFL&apos;s schedule release is like Christmas morning -- that is, if after unwrapping all of your gifts, you sat and stared at them for 4 1/2 months before unboxing the goods. With Wednesday night&apos;s unveiling, we can finally start circling the calendar, counting the days and drooling over the best 2019 battles to come. Julian Edelman jokingly offers to help Red Sox bullpen in Instagram post originally appeared on nbcsportsboston.com The Boston Red Sox bullpen was a question mark entering the 2019 season, and while the unit hasn&apos;t been a disaster through the first 12 games of the season, it hasn&apos;t really been a strength, either. 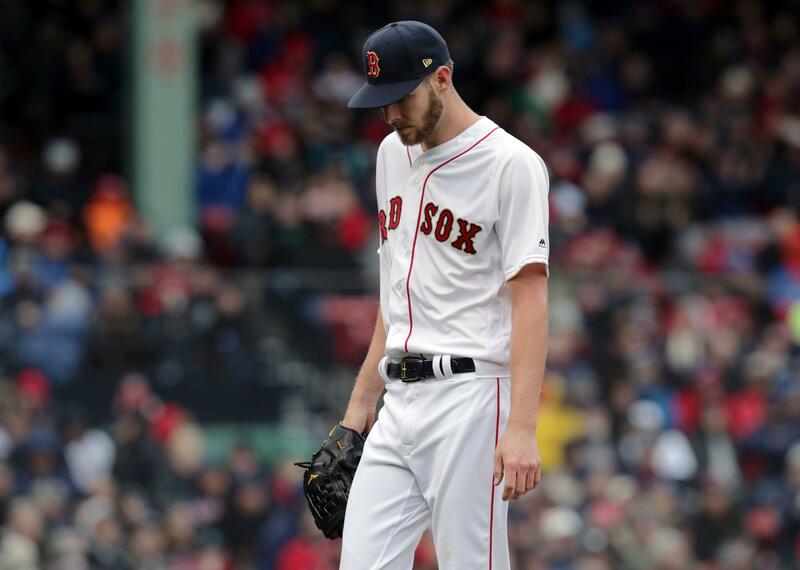 There&apos;s still no clear-cut choice for the closer role, with Red Sox manager Alex Cora primarily has used Matt Barnes and Ryan Brasier in save situations so far. New England Patriots wide receiver Julian Edelman jokingly volunteered to help the Red sox bullpen in an Instagram post Tuesday. The Boston Red Sox celebrated their home opener with the help of a few champions Tuesday. Rob Gronkowski and other members of the Super Bowl champion New England Patriots also showed up for the event. 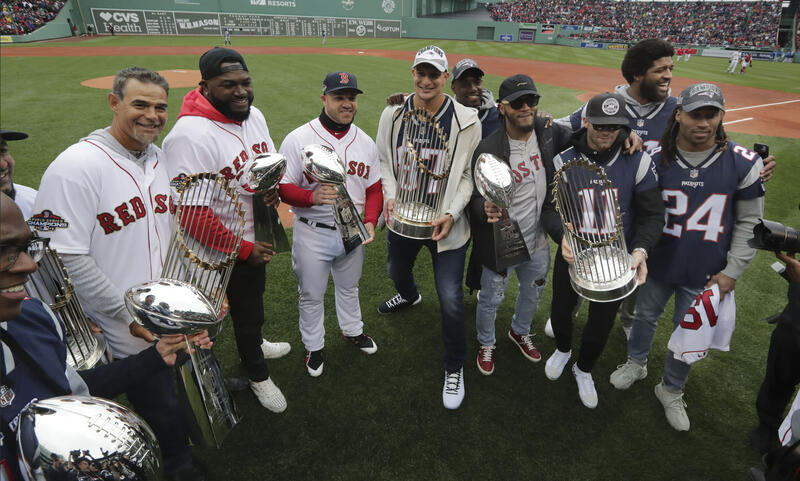 The Red Sox got their rings, unveiled their World Series banner, received a visit from David Ortiz and then saw Gronk and the Pats — who made sure to bring their own trophy. Ten trophies. The New England Patriots brought their six Super Bowl trophies to Fenway Park on Tuesday to help the Boston Red Sox celebrate their latest World Series championship and unfurl a new banner in front of the Green Monster for the fourth time in 15 years. "It&apos;s pretty cool to see all of them together," Red Sox utilityman Brock Holt said after the 7-5 loss to the Toronto Blue Jays in the home opener dropped Boston to 3-9 in its title defense. It was the home opener for the Boston Red Sox this afternoon and they kicked things off by doing what they&apos;d done three other times in the past 15 seasons: raising a World Series banner. The banner honoring the 2018 champs was unfurled with past Red Sox greats in attendance. Pedro Martinez, Mike Lowell and David Ortiz carried out the 2004, 2007 and 2013 trophies. The Boston Red Sox will celebrate their 2018 title as well as the Super Bowl LIII championship won by the New England Patriots, but there will be some noticeable absences Tuesday at Fenway Park. Patriots owner Robert Kraft, coach Bill Belichick and quarterback Tom Brady are not expected to be in attendance, per reports. Brady threw out the first pitch in 2017 when the Red Sox feted the Pats&apos; title over the Atlanta Falcons. The Boston Red Sox are celebrating their football neighbors today, but several key Patriots faces won&apos;t be there. According to Phil Perry of NBCSportsBoston.com, owner Robert Kraft, coach Bill Belichick, and quarterback Tom Brady won&apos;t be present when the Patriots are honored at today&apos;s celebration at Fenway Park. Both teams are celebrating titles (pity the long-suffering Boston sports fans, who have to wait three months between championships), but at least for Kraft, it&apos;s time to lay low after charges of solicitation of prostitution emerged. Everything you need to know for Red Sox World Series ceremony at home opener originally appeared on nbcsportsboston.com Boston Red Sox fans will celebrate the team&apos;s 2018 World Series championship in a special pre-game ceremony before Tuesday&apos;s home opener against the Toronto Blue Jays at Fenway Park. First pitch is scheduled for 2:05 p.m. ET, but fans should arrive to their seats far earlier than that.